One of the best visits to a doctors office I’ve had! Everyone is super friendly and kind. Katie is very smartand easy to talk to. Will be recommending! One of the best visits to a doctors office I’ve had! Everyone is super friendly and kind. Katie is very smart and easy to talk to. Will be recommending! I was a little late for my appointment and no worries there. Everyone from the receptionist to Katie NP were professionaland friendly. Katie took time to answer all my questions and gave me the referrals I needed. I am very happy with the care I received and highly recommend this center. I was a little late for my appointment and no worries there. Everyone from the receptionist to Katie NP were professional and friendly. Katie took time to answer all my questionsand gave me the referrals I needed. I am very happy with the care I received and highly recommend this center. 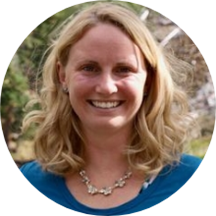 A friendly nurse practitioner, Ms. Katie Ballard takes care of the people of Westminster, CO. She practices at Westminster Medical Clinic and goes all out to ensure every visiting patient receives the care they deserve. Ms. Ballard graduated with a master's degree in nursing from Regis University. Trained to address a broad range of complex medical conditions, she is proficient in the treatment of urinary tract infections, fungal infections, bronchitis, incontinence, and hemorrhoids. Focused and caring, Ms. Ballard believes in providing effective and compassionate patient care. She is passionate about her work and encourages individuals to discuss their concerns candidly. She carefully listens to them and provides sound advice that would benefit them. She treats patients in a structured manner, focusing not just on the ailment but also on the general well being of the person. Katie was great! She was kind, very informative about my Birth control concerns. Made sure I was well educated on important things such as lifestyle, exercise, overall health. The office staff was so attentive and kind. I truly am thankful Ifound this medical center with such wonderful staff. They all seem to care very much about the patients life and well being.